As you can see in the image below, it is huge, “composed of land within three municipalities, Hollywood, Fort Lauderdale and Dania Beach and unincorporated Broward County,” much larger than anything proposed for the Port of Vancouver. The Port was established in 1928 and has been active ever since, growing into “the world’s third busiest cruise port” along with its storage and transfer of petroleum products. Have there been accidents? I am sure, but I am unable to uncover any reports of any massive explosions as those being forewarned by the oil haters. I do not recall any ever while I was living just a few minutes south. If you look closely at the image, you will note several homes just outside the port. These home values also belie the claims of “plummeting property values” as a quick peek at Zillow.com shows property values skyrocketing around the port, some well over $1 Million in value. 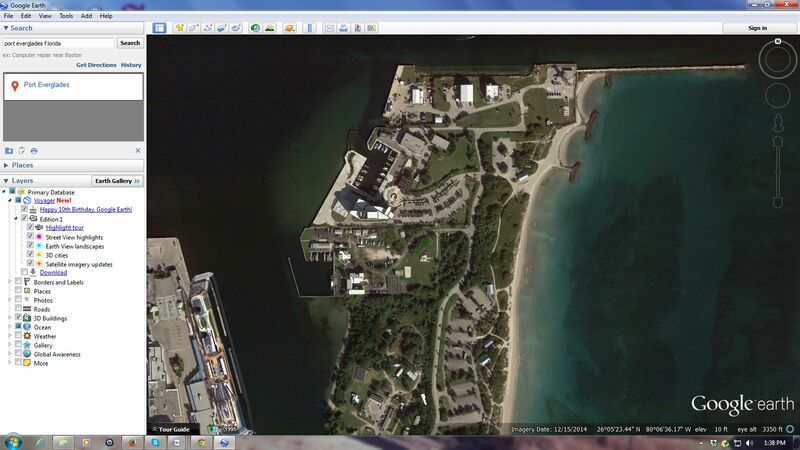 In this next Google earth image is a close-up look at a piece of property just across from the Port that when I was a teenager in the 1960’s, was barren beach, inaccessible other than by boat or beach buggy since there no road built to reach it then. As much as the haters try to deny it, petroleum remains the lifeblood of modern society. In terms of energy, no other energy source comes close to matching it in efficiency, reliability or affordability. And Petroleum Companies, in spite of more false claims, pay Billions in revenue. Now, as I said above, yes there are dangers involved, but who better strives to mitigate those dangers than the companies themselves? For all of the claims of Oil Company greed, it seems to escape the haters that such accidents cost these companies dearly, not only in profits but in public opinion. Then too, there already exists a dangerous customer at the Port, a Grain Terminal that has operated successfully for some time and as any other company does, diligently monitors and controls their danger for safety. But not one of the oil haters bellowing about “blast zones” or “Bomb Trains” raises so much as an eyebrow about the grain terminal. I have also heard mention of hopefully bringing a cruise ship operation into the area should the massive minimum wage, concrete jungle Waterfront Project be built. Claims are that no cruise ship would want to operate anywhere near an Oil Terminal. 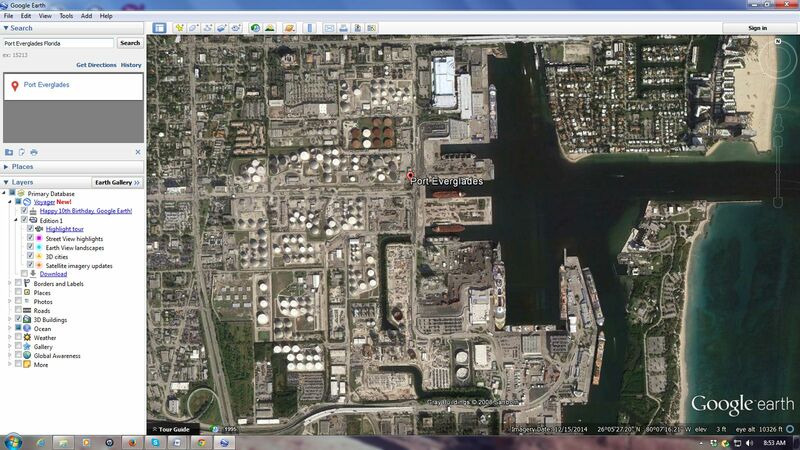 Port Everglades puts that canard to rest, hosting a record 15 cruise ships on a single day, December 21, 2003. Although claims are that the Oil Terminal at the Port of Vancouver would be the “largest oil by rail facility in the country,” it pales in comparison with the operations down in Port Everglades. Ultimately, we need the terminal and the middle class, family wage jobs it brings. Not to mention jobs created outside the terminal either in direct support or indirectly from the increases in wages such a terminal will bring. As I said before, the preferred Concrete Jungle Waterfront development cannot offer anything but minimum wage service or retail jobs that will not get people off of public assistance or provide as much revenue to the community as will the port. And let us not forget, there are over 1300 such transfer terminals operating in the country currently. About those trains. Yes, they will be bringing oil into the community, but they have been traveling right through our community for decades now carrying oil elsewhere without incident. And what’s more, they will continue traveling right through our community, carrying that much needed revenue elsewhere as the neither the city nor the county can stop them. I hope you will look closely at the proposed terminal and how such a facility benefited the communities in Broward County Florida. Our terminal here would pale in comparison in size and operation, but would be a real shot in the arm to benefit our community. In the end, it is time to ignore the fearmongering naysayers that hate oil, but drive cars and trucks themselves and rely on the multitude other uses of petroleum every single day to enrichen their lives. Time to tune them out and grow our community’s much needed jobs. Lew– most of the danger comes from the trains. Twelve oil trains have exploded in the last two years and if you Google “Derailment Statistics” and look at chart 9, you’ll see that the railroads average 1 non-yard accident per million miles. The Tesoro Savage proposal will generate 17 million miles of oil trains in ten years. The oil spill in the Kalamazoo River cost $1.2 billion to clean up. We owe it to our grandchildren to do everything possible to minimize climate change. Pope Francis, the Church of England, the council of Muslim clerics, and in America, the United Church of Christ, say it is a moral imperative to transition away from fossil fuels. The automakers have spent billions to create more fuel efficient cars. The alternatives have been here for 5 years The Chevy Volt has a range of 400 miles and averages 80 mpg for most people. We don’t need the oil. The Columbia River Inter-Triibal Fish Commission, the Columbia Gorge Commission, the City of Stevenson, the Washougal School District, and The Washington State Council of Firefighters are absolutely opposed to the Tesoro Savage Oil Terminal. An oil terminal in Vancouver will drive away business. And, how many of those fearmongering trains you complain about exploded while slowly pulling into a terminal? Seems to me most are out in areas where the speed is higher, except maybe the one in Canada that their firefighters let off the brake accidentally. Incidentally, I could care less what the Pope, the Church of England, Muslim Clerics any Church of Christ or Haboodadean says on this. Remember that Separation of Church and State y’all always bring up? Can’t have it both ways. And your claim of “drive business away” falls completely flat when you look how businesses have thrived with Port Everglades since 1928. And funny thing still is, there isn’t a damn thing you can do about those trains. They’re coming through no matter what, as they have been for decades now. Tell us when you have weaned yourself off of every petroleum connected device. And once again, why no concern ever expressed over a grain terminal transported by train considering how volatile grain dust is? The trains are coming regardless. Come on back and chat when you stop using all petroleum products. Wouldn’t want you to be a hypocrite, Don. In 1973, a trainload of bombs caught fire and exploded in the Southern Pacific Roseville, California classification yard. I worked as a Sales Rep for the company and was located in Marysville, CA (about 30~35 miles north of Roseville). I heard the explosion that morning — and not long after, I was “called in” to assist in the company related efforts surrounding the matter. I note, that despite the significant devastation at the site of the explosions (there were many) that nobody was killed, though a few people were injured. The fire that caused the explosions also caused several tank cars filled with propane to explode. Those actually resulted in bigger explosions than the bombs. (The bombs weren’t supposed to explode, but did, FWIW.) The cause and “fault” for the explosion was subject to years of lawsuits. The causes and fault remain controversial. But the Navy munitions plant(s) changed a lot of procedures and “made bombs safer to transport” after the Roseville incident. There was a similar incident (with an exploding bomb train) in Arizona not long after the Roseville incident. There have been a number of “oil train” explosions in the last couple of years. The crude oil from North Dakota apparently has more dissolved gasses than most crude oils. More testing (and more pre-processing to remove dissolved gasses) is being made before loading rail cars and while final rules are not yet implemented, both shippers and rail carriers are working to improve the safety. (If this oil wasn’t moving by rail, it would move by truck with a far, far higher accident rate.) Derailments are most dangerous on “open, high speed” tracks where the kinetic energy in the rail vehicles is quite high. Derailments in low-speed yard and terminal areas are an inconvenience, and rarely cause any serious injuries or loss of rail car contents. The terminal proposed for Vancouver would not present any serious safety problems for the surrounding area, nor would the absence of oil trains suggest that the port area might not have other dangerous cargoes — including grain, which has been known to provide substantial explosions in a dusty environment (like inside a grain silo). In the worst case (in Lac-Megantic, Canada), the train had been parked, but not properly “anchored” by the crew that left the train. The brakes released (as the air pressure drained away over time) and an insufficient number of cars had the hand brake set to hold the train back… it became a runaway train with no crew aboard… and traveled about 8 miles before derailing in Lac-Megantic, doing horrific damage. I note that “runaway trains” are quite rare, and it was apparent that the crew did not follow all the requirements when they left the train unattended (at a designated crew-change point). Personally, I was surprised that there was not a “derail” device installed — these are commonly used to prevent trains that start moving (on their own) from becoming a run away. Quite literally, a “derail” dumps the locomotive and/or first few cars of a train off the rails, and the friction with the ground will halt the train. Since these are normally installed within a few yards of the train, it does not build up significant speed before being stopped. Here is a website for the American Association of RailRoads detailing their many increased efforts at rail safety as well as training of first responders to incidents. Don Charles Steinke James . . . My current car uses half the gasoline of my previous car and my next car (a Chevy Volt) will get 360 MPG for me. I don’t now use oil from an oil terminal in Vancouver and never will. I’ve asked for an am waiting to see if he will document that “360 miles per gallon” claim. We give billions in taxpayers money in subsidies, tax breaks, social services to those that don’t make enough in their part time jobs at the ports, clean up and transportation so it is not a profit generating industry like renewables are becoming. You don’t have to keep buying solar and wind panels shipment after shipment once purchased unlike oil. Time to drop fossil fuels from help and let them sink off the ship! Enough corruption already. Let’s start being conservative. Sorry Yolanda, but someone has filled your head full of nonsense. Your so-called renewables time after time have shown themselves to be unreliable and overly expensive. Some European nations are revisiting and moving away from those renewables and returning to fossil fuels. Besides wildlife being killed in droves by renewables, it is they that are unable to keep functioning without our tax dollars supporting them. Petroleum companies receive only the same tax write-offs other businesses do and pay in Billions in revenue as well fees to the government. In fact, a significant portion of the U.S. debt is held by oil exporters. Referring back claim of supporting those that don’t make enough in their part time jobs, the oil terminal is just the opposite of that as it will offer full time, middle class family wage jobs. The concrete jungle planned for the riverfront is what will only offer those minimum wage, part-time service jobs. It is far from “being conservative” to prop up boondoggles on the taxpayer dime while pushing taxpayers into little boxes the elite desire us to be in. Incidentally, Yolanda, since you mention oil subsidies, do you realize if you own a home that you receive the same subsidy in writing off your mortgage interest from your taxes? Will you give up your subsidy? I did just receive a degree in environmental policy. There were many pro oil classmates so I agree, there is a great deal of bad information out there as you posted. They are all sponsored by big oil. Articles are only as good as their references and I don’t see many there with any credibility. It seems there is no one in this area with any environmental law and policy knowledge or experience. It is better to be filled with research (as you call nonsense) then emptiness! We should let go of fossil fuels as you noted the debt then! The Rockefellers divested from whale blubber and they stopped subsidizing that too in time. They are now divesting as well in oil. No one wants a train wreck and environmental damages later. Who is going to pay for clean up in ten years? Superfunds don’t cover crude. Do you care about the future? I don’t write off my mortgage interest. I am part of a Foundation. We are talking about the future of Vancouver here so let’s keep giving a hoot! The threat of oil spills is present along any coast where offshore oil drilling is allowed or where oil tankers transport their product. Calls for oil drilling off Florida’s shores in both state and federal waters in 2009 and 2010 have increased concerns about the potential for oil spills that would cause serious impacts to Florida’s multi-billion dollar tourist economy and coastal ecosystems. The massive release of oil during the period April 20, 2010 to late July 2010 from the Macondo well being drilled by the Deepwater Horizon drilling rig off the coast of Louisiana impacted beaches in the Florida Panhandle area. Wildlife, human and ecosystem impacts from this oil spill may be felt for years to come and may extend further south along Florida’s Gulf Coast shoreline. Hyperbole is not your strong suit, Yolanda. Funny how anything sponsored by the oil companies is suspect, but you want your unnamed foundation accepted as if unbiased. Just who did you receive that degree from? And no, no one wants a train wreck, least of all the rail companies or oil companies shipping their product. What future is there in massive minimum wage service jobs with the concrete jungle? And again, you complain about oil, but I doubt you walk everywhere you go and even if you do, it is likely you are wearing something derived from oil. And as I said over on Lisa’s post, you too make no mention of Port Everglades (the subject of my post) safely operating on a scale that dwarfs the proposed terminal here for 87 years. No, hyperbole and fearmongering is the order of the day. Congratulations on your copy & paste. I take it you haven’t sent much time down in Broward County or even Dade County. You complain about who will pay for spills, then list payment being made for such a spills years ago. Again, more hyperbole and fearmongering. Who pays the next time an airliner crashes into a neighborhood as happened in Gresham? Who pays when the concrete jungle collapses from soil liquidation in that next big earthquake used to warn on the terminals? And since I see you use a computer and likely drive a car, why d you use petroleum based products but demand others stop? Where do you think the plastics come from you’re using? Didn’t you environmental degree teach you that? Many communities and organizations are working to stop oil terminals but not many people realize how good the green car options are and that all the major car-makers will have a zero-emissions vehicle this year. For example, for five years Chevy Volt owners have averaged 80 mpg and owners of a 2016 Chevy Volt could average 360 miles per gallon if they traveled 60 miles per day. The 2016 Volt will go 53 miles on the battery at which time the onboard generator fires up and provides 42 mpg. A person travelling 60 miles per day will need only 1/6th of a gallon per day. Ideally, an electric car would usually be charged at home using surplus wind and hydro at night. Norway plans to require all new cars to be classified as zero-emissions vehicles by 2025 and California by 2030. Pacific Gas and Electric plans to install 25,000 high speed charging stations in California this decade. Yes, there are a lot of fools, glad you recognize that. I already ask you once to document that outrageous 360 miles per gallon claim and so far, you continue to make without providing any relevant documentation. As someone that spent the bulk of my adult years in the Automotive Industry, I find that claim to be quite specious. You may drive whatever you wish, that is your privilege, but you do not have any right to begin demanding what I may drive. Those “Green” cars will likely turn out to be much less than promised and currently so expensive our tax dollars are used to entice people like you to buy them. Incidentally, there is no real thing as “zero emissions.” Metals for batteries must be mined and last I heard, such mining creates considerable pollution as well as the production of more electricity to recharge EV’s. Oh, and look around you Volt at how many panels, upholstery, wiring, even tires and trim are manufactured from petroleum based materials. There are very few facts discussed, I agree. Vermont Law School. We are transitioning to renewables at a fast rate… I am asking our leaders to support that change and not fight electric cars, trains, bridges and infrastructure. We do not want to sit in traffic and are tired of our leaders selling out. We turned away a billion in federal money on a new bridge because leaders were paid off to fight them. They want us sitting in traffic-We have the technology to switch, why support fossil fuels? They will soon be on the list of past energies as is whale blubber. I understand you are paid to hold on and support toxic messes and oil companies that cost the American people their right to a good education, roads and infrastructure because all is spent on oil subsidies instead. No need to be disrespectful but I understand it is your job to put out misinformation! Thanks for the discussion. Hold on to the sinking ship as long as you can. I am sure those that sold whale blubber felt the same way. Why can’t we support renewable energy as it transitions? Please take the time to research the issues and the environmental damages to Florida because of the spills and accumulation of emissions near terminals. I would love to drive an all hemp solar Barracuda and it will happen sooner than later – Keep whaling! Time to protect the economies of the world and let fossil fuels sink to the bottom without subsidies– Global energy subsidies, including the social and environmental costs associated with heavily subsidized fossil fuels, are costing the world’s governments upward of $5 trillion annually, according to new estimates released yesterday by the International Monetary Fund. That lost revenue is punching gaping holes in the budgets of both wealthy and poor nations, according to IMF, while the benefits of the subsidies are flowing disproportionately to the wealthy. “What we find is that energy subsidies are big and they are rising,” Vitor Gaspar, director of the IMF’s Fiscal Affairs Department, said yesterday during a rollout event and panel discussion sponsored by the Brookings Institution. IMF reports that post-tax global energy subsidies rose $3 billion each year from 2011 to 2014, and are projected to reach $5.3 trillion this year, or roughly 6.5 percent of global gross domestic product. That’s significantly more than emerging and low-income countries spend on public health and other core social and economic priorities, according to IMF. The world’s largest energy subsidizers are also its largest energy consumers, led by the China and the United States, which together account for a projected $3 trillion in 2015 energy subsidies, followed by India, the European Union, Russia and Japan. As a percentage of economic output, China, Russia, and a handful of Eastern European and North African countries lead the world in energy subsidies, accounting for more than 8 percent of GDP, according to IMF. Well Yolanda, at least you admit your hatred of fossil fuels. Unfounded hate in my estimation, but your privilege nonetheless. There is ample evidence to debunk the claims of this so-called “Green” energy being far from the panacea many oil haters believe it to be. And yes I know many Greeners deny and ignore that evidence, but more importantly to me is the reaction of some advocating those “Green” energy sources for others when such a source is planned for their backyards, as well as opposition to those same sources from Animal rights advocates. How funny seeing the Kennedy’s and Fienstein objecting to the very energy sources they demand we have when planned for their neighborhoods. Yolanda and Don, don’t y’all find it a bit curious that after Obama has vowed to shut down coal companies, climate alarmists have decided to heavily invest in them? Seems a bit curious to me. You make many good points on the fact there really isn’t a difference between the parties and the scams. Even our President sold out to Solyndra by allowing them to put the money in offshore accounts instead of projects. Then they went bankrupt and went back for more money! We could have put solar on many schools. All the links you included are sponsored by fossil fuels so it is apparent they do not want renewables. The initial cost is expensive but renewables do not create billion dollar toxic waste dumps either. All should be considered when comparing. I am also concerned that there are many future legal and insurance battles to be fought concerning the terminal. Does the city have that much money for the legal and environmental expenses even without a catastrophe? The oil companies never pay for the accidents or future cleanup. In fact, in Canada the policy has been that the railroad company involved goes bankrupt, leaving insurance that falls far short of covering billions of dollars in damage. Personally, I would think the responsibility for any spill insurance coverage would be on Tesoro. And I beg to disagree on oil companies never pay. BP paid out more than $28 billion in damages and costs when Transocean Ltd. insurance balked, even though the rig in the Gulf was owned and insured by Transocean. The court sided with Transocean an BP set aside $43.5 billion to cover all costs of the spill with analysts expecting the cost to hit $50 Billion. When there is an accident there have been some payments – In Canada, however, the rail company went bankrupt so they were released from responsibility since they found it to be the rail company’s fault. I am very concerned about future clean up. No terminals have not needed remediation. Oil companies will continue to go bankrupt especially as Bakken continues to decrease production. That is my concern. It is easy for subsidiaries to go bankrupt at oil terminals. That has been the past policy. There are many oil companies fiing right now already! You do realize a Chapter 11 is for restructuring of debt and other steps to improve their finances, don’t you? Not unlike when GM and Chrysler filed and ended up being bailed out in 2009. And again, that is one company. Petroleum remains our best resource that effects our lives in so many ways for the better. And yes, some terminals in the past have declared bankruptcy and usually end up bought out for cheap by larger companies, remaining in operation. I can’t help but wonder, are these the same people I see moaning on Facebook? Dreaming about “green” energy is nice, but let’s deal with reality for the moment. I never bought a new car since the environmental and toxic waste generated to create these so called “green projects” is just nuts. Creating solar panels, et all. Terrible damage. There’s good news. It happens in mostly non-white countries so I guess you can feel smug and pollute someone else’s back yard at the same time. I guess if I had to “Look my grandchildren in the eyes in the future” I’d probably say “Enjoy your day of work at a family wage job. Thank God you didn’t have to serve drinks part time to rich liberals who wouldn’t be bothered ‘in their back yard'”. 12 years ago you got extra credit for protesting the Iraq War. I wonder if you get extra credit now to moan about oil terminals. Lew Waters, What does it take to make you see clearly? I’ve had relatives and loved ones lose their businesses, and have been injured financially and have died died from oil-related tragedies — and clearly you haven’t suffered from anything like that. Try to see both sides. Think before you write. Elsie, I hope you walk everywhere you go or else, you run the risk of being a hypocrite. 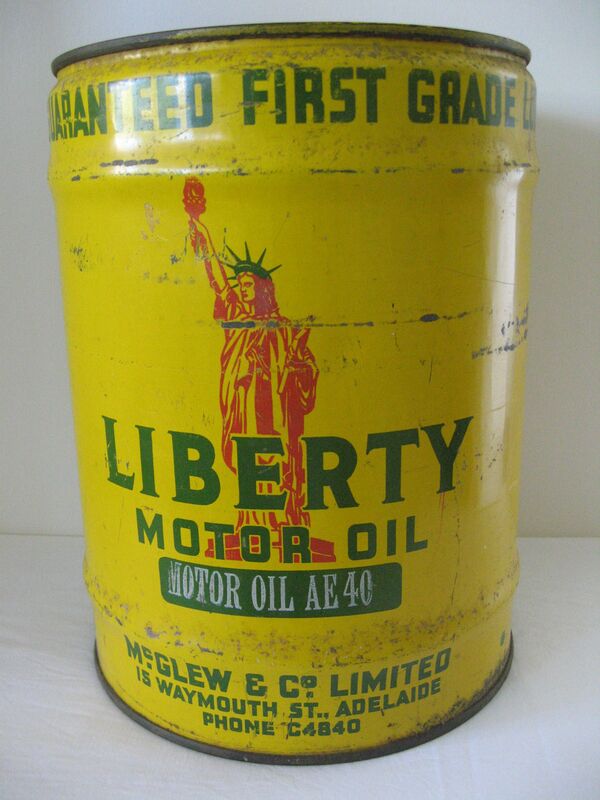 You see, oil is part of nearly everything we use today, it is the lifeblood of the civilized world. Yes, people have died from your so-called oil related tragedies, but how do you not see they have died from several other tragedies? In the meantime, we need good paying jobs and the concrete jungle will not provide them.